The bewitching hour is here! 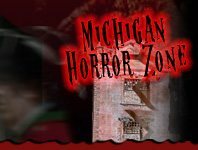 Treat yourself to one of Michigan's finest cultural shows this Halloween. With Michigan's abundant theaters, it's no surprise that you'll be able to find a great play that everyone will love! Watch as spooky stories of witches and ghosts and reenactments of stories from the past come to life onstage. Whether it's virtual theater or a traditional show-you and your family will be sucked into the magical and mystical world of live theater. Get ready to be scared with eerie stories that will keep you up at night-we promise it'll be a haunting of a good time!